2 May, Jan Ayeslag, Texel, Noord-Holland, adult female, wearing colour-ring, photographed (P Duin, B Loos); The adult female on Texel (with black ring with inscription J8KK on its left tarsus) had been ringed as an adult at Nordhorsvær, Sømna, Nordland, Norway, on 17 July 2005. 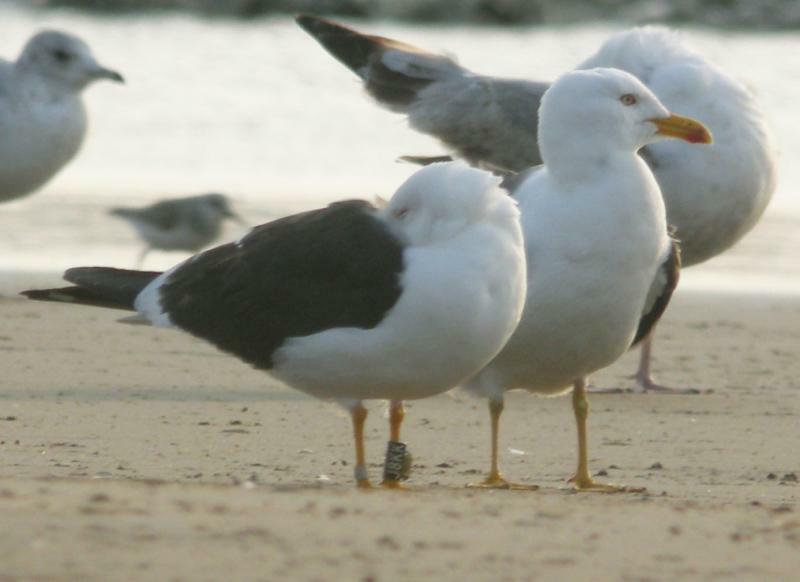 According to Helberg et al (2009), only Baltic Gulls (and no British Lesser Black-backed Gulls L f graellsii or Scandinavian Lesser-Black-backed Gulls L f intermedius) are present in this colony. Annual Report 2012.